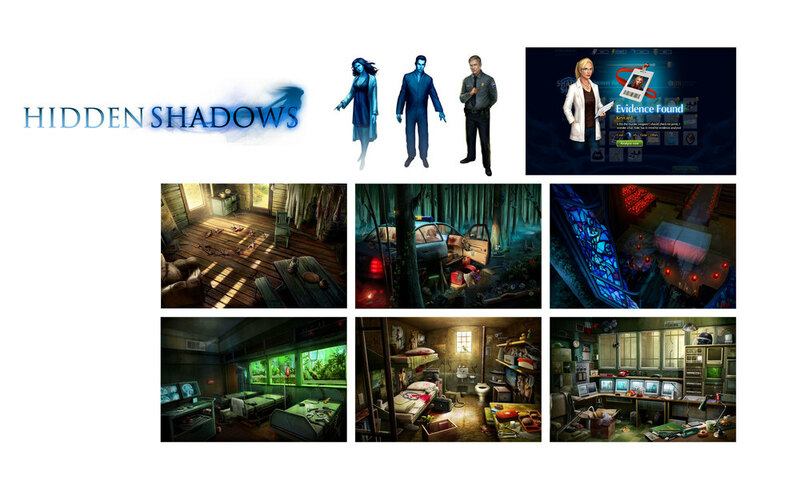 This hidden objects game with a murder-mystery ran over multiple "seasons" of 12 episodes each. I designed a functional main page to show story progression: The background color and atmospheric effect changes each season, and as the story progresses I reveal characters and important objects. I concepted and oversaw the production of the hidden object scenes. This was a huge task: Prior to launch we had almost 300 of these very detailed and unique paintings.